Senior ISIS member Abu Sayyaf and captured his wife in a rare US special forces ground raid in eastern Syria. According to a US Department of Defense statement, Abu Sayyaf helped direct oil, gas and financial operations for the Islamic State, as well as holding a military role. 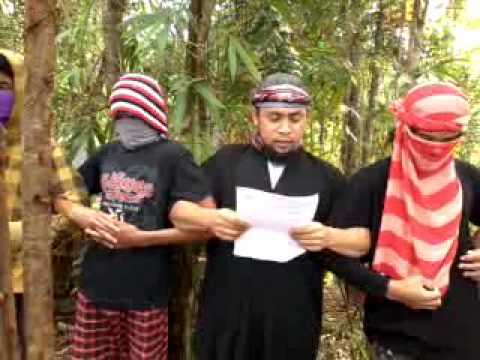 The statement said forces tried to capture Abu Sayyaf, but he was killed after engaging them. It is the first time the US is known to have carried out a ground operation to attack ISIS within Syria. The operation was authorized by President Barack Obama and was carried out by forces based in Iraq. US officials said Abu Sayyaf was Tunisian, with one official telling CNN he was the chief financial officer “of all of [ISIS]” and that the US had seized “reams of data on how ISIS operates, communicates and earns its money”. On Arabic social media, however, Abu Sayyaf was not being spoken of as a known public figure. Oil and gas have been an important source of revenue for ISIS, which gained swathes of territory in Syria and Iraq last year. On May 16, the group took control of the northern part of the ancient Syrian city of Palmyra, which it has been advancing on for three days, according to the Syrian Observatory for Human Rights – a UK-based network that uses activists within Syria. The US said the operation in Syria was conducted “with the full consent of Iraqi authorities”, though it did not inform the Syrian government in advance. “We have warned [President Bashar al-Assad’s] regime not to interfere with our ongoing efforts against [ISIS] inside of Syria,” said National Security Council spokeswoman Bernadette Meehan, adding that “the Assad regime is not and cannot be a partner in the fight” against IS. The Pentagon said Abu Sayyaf’s wife, Umm Sayyaf, is suspected of being an ISIS member and of being complicit in the enslavement of a young Yazidi woman who was rescued in the raid. It said it believed at least 12 militants had been killed at the scene, that there was hand-to-hand fighting and that militants had tried to use women and children as shields. Umm Sayyaf has been taken into military detention in Iraq. The operation lasted for about 30 minutes around dawn in the residential quarters of the al-Omar oil field, which houses about 500 families of ISIS fighters. In Iraq on Saturday, ISIS militants tightened their grip over the centre of the city of Ramadi but reportedly withdrew from a key government compound they had seized a day earlier. Neither ISIS nor its supporters on social media were commenting publicly on the raid against Abu Sayyaf, with Twitter posts focusing instead on Ramadi. The US has been carrying out air strikes against ISIS in Iraq and Syria since August 2014. Shortly after they began, the Pentagon said there had been a failed raid in Syria to free American hostages – the only other ground operation inside the country it has acknowledged.